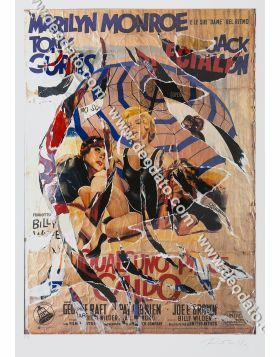 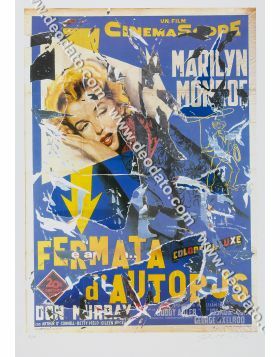 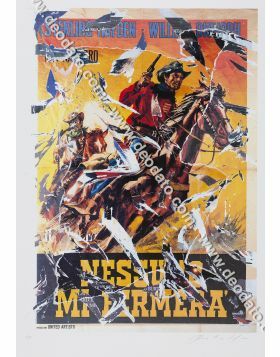 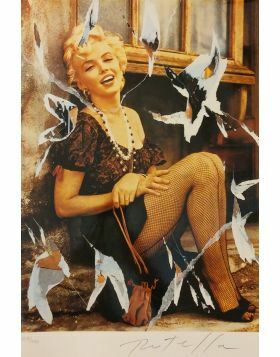 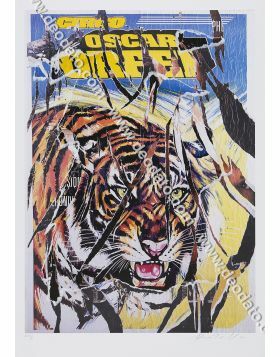 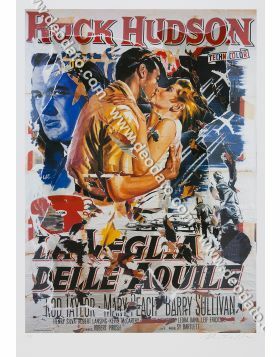 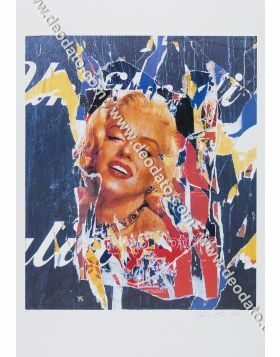 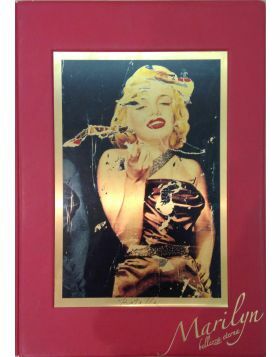 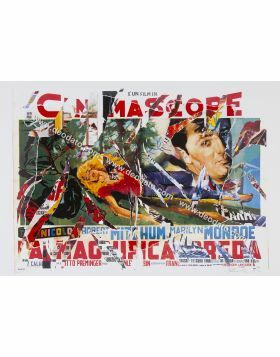 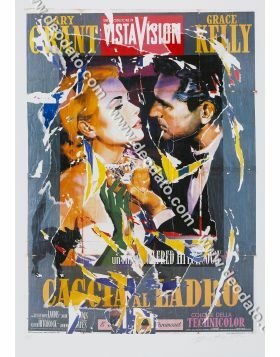 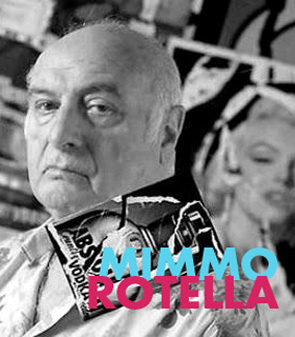 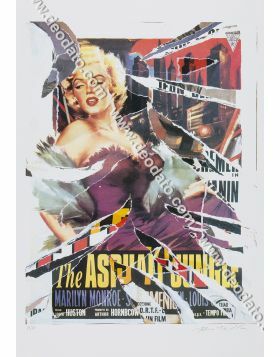 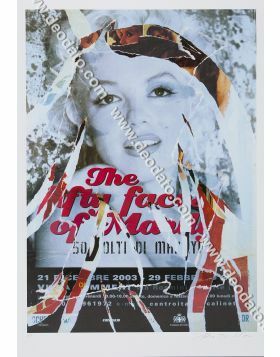 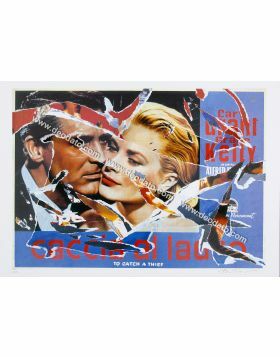 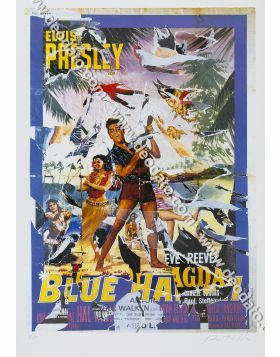 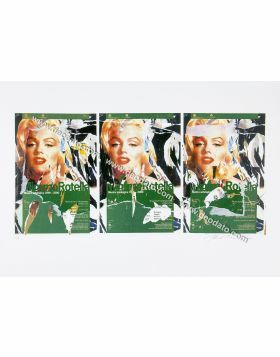 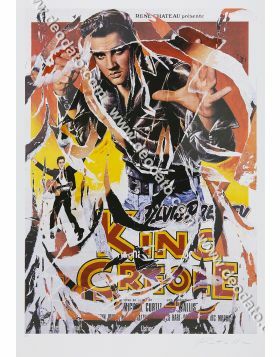 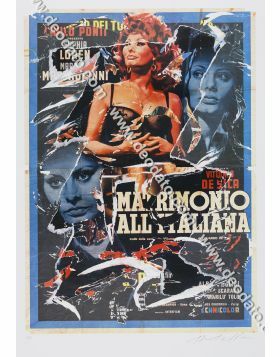 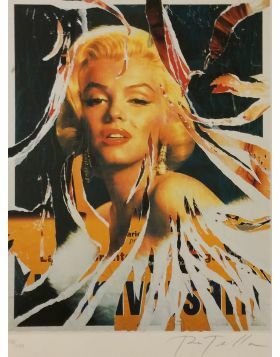 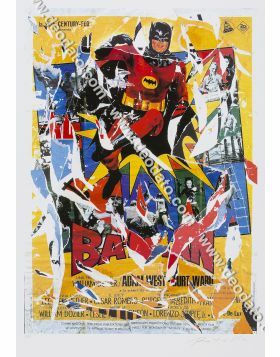 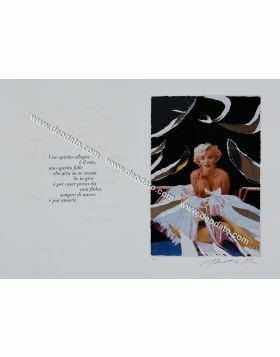 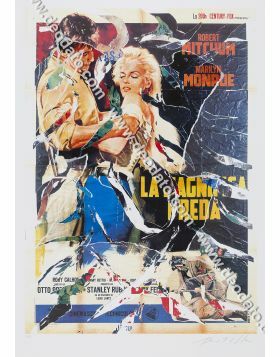 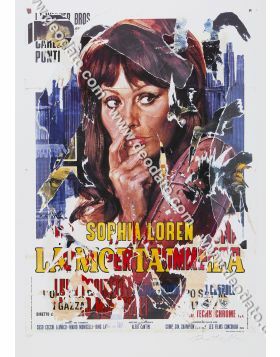 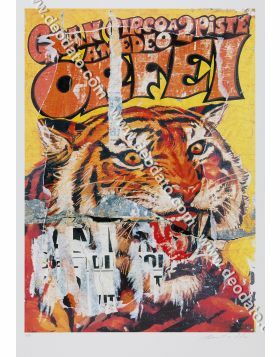 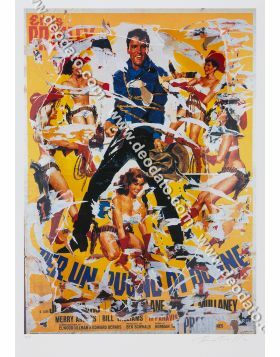 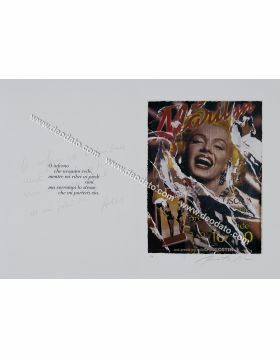 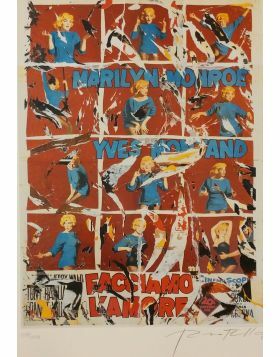 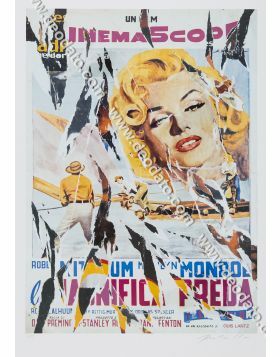 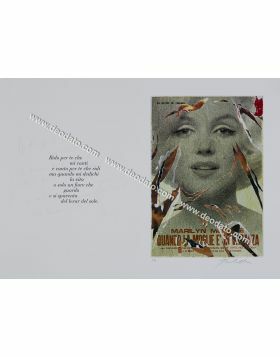 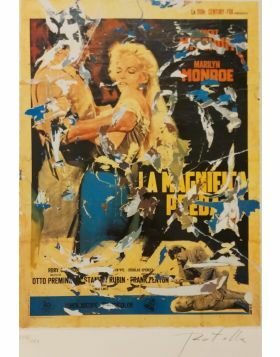 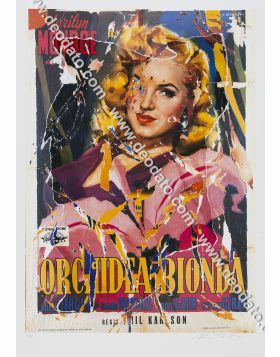 SeriDécollage by Mimmo Rotella torn by hand that portraits James Dean in East of Eden, directed by Elia Kazan and based on John Steinbeck's novel. 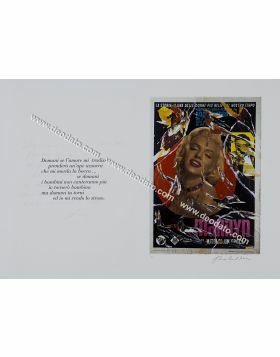 Elia Kazan chose James Dean for the role of Carl after the refusal of Marlon Brando and Montgomery Cliff. 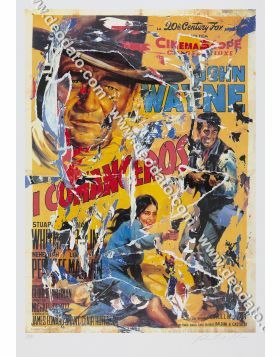 The choice was so appropriate that received John's Steinbeck approval, the author of the homonym novel from which the film is drawn. 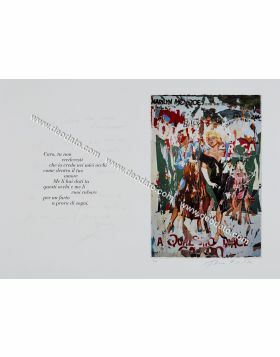 Seeing Dean recite on the set, Steinbeck exclaimed: "Jesus Christ, he IS Carl!". 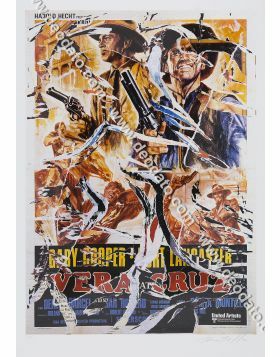 James Dean, in his first protagonist role, received a nomination to the Oscar Prize, the first posthumous nomination of the history of the Academy Award.